If Saturday is your only chance to shop, perhaps you'll want to come THIS week. In the meantime, we've received a few shipments of new supplies that are sure to please you and we promise more in the next two weeks. 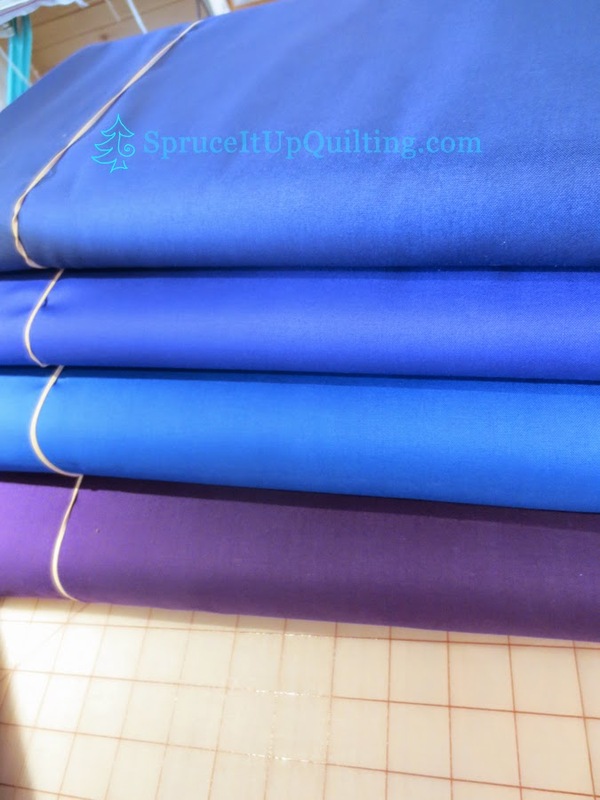 Earlier this week, these beautiful solids and 1 print arrived. 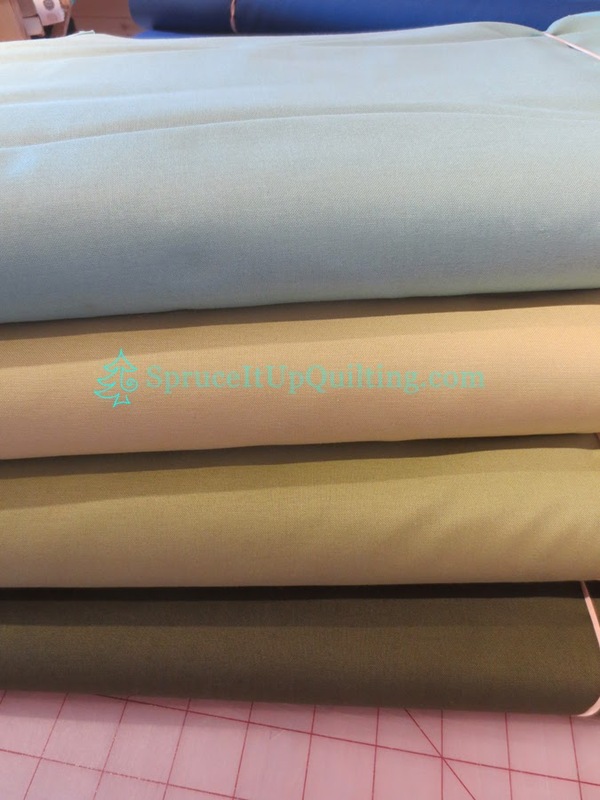 Our collection of solids is growing! I see from these photos that I forgot to photograph the new greens. Oh dear!! You'll have to trust me... they are beautiful too. Valdani customer service is the best! Look what arrived today!! 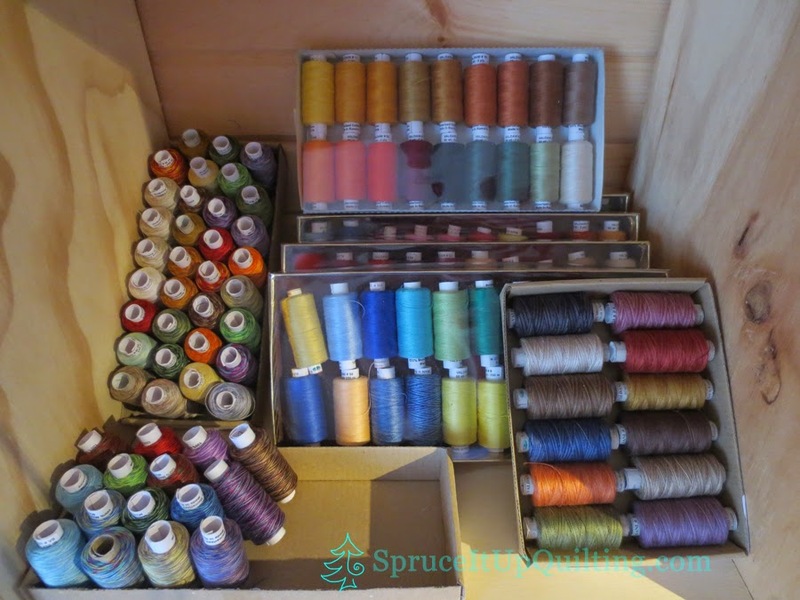 The top photo shows threads for hand and machine sewing, embroidery, appliqué, heirloom and fine sewing. These colors are just beautiful! They are hand dyed, colorfast, 60wgt (40wgt US) 250m per spool, solid and variegated. 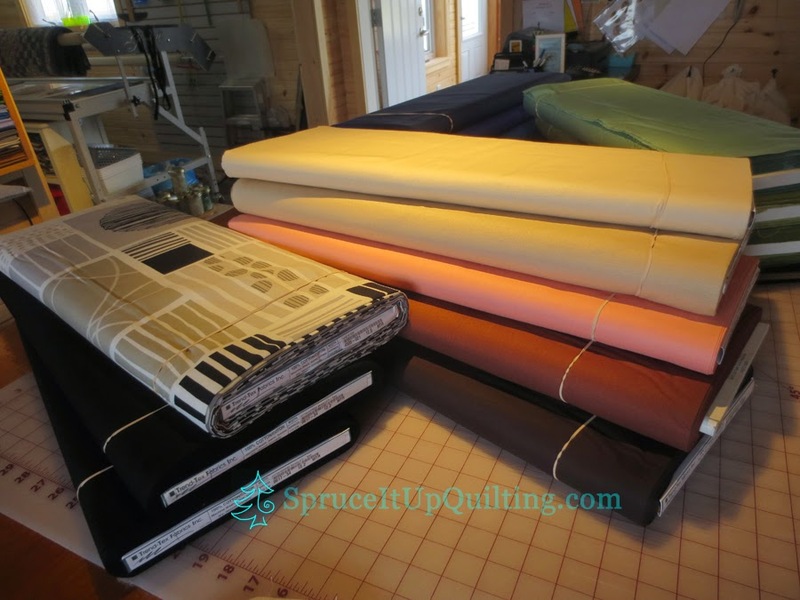 Great for art quilts too! People who know me also know how much I love appliqué and embroidery. 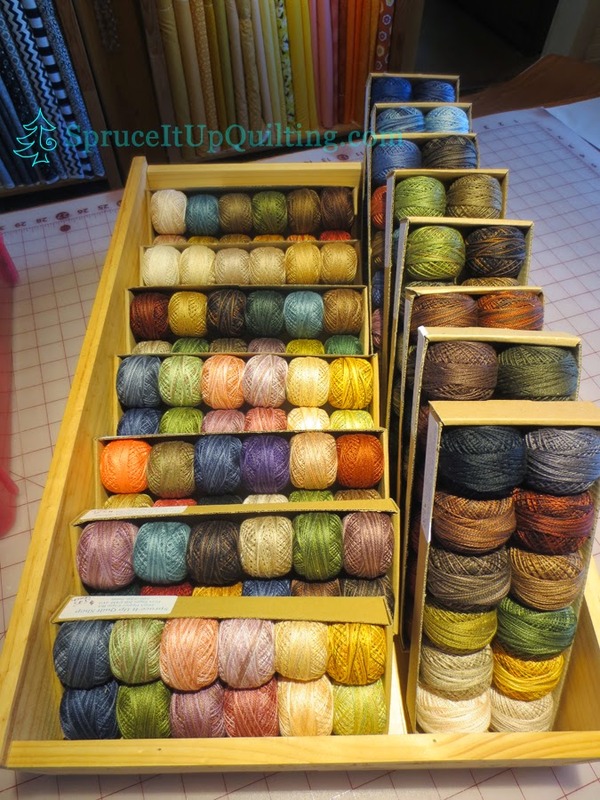 My favorite is Perle Cotton no 12 and Valdani is certainly up at the top of my list! I can't tell you how excited I am to have these in the shop! Can you see the big sign now?? 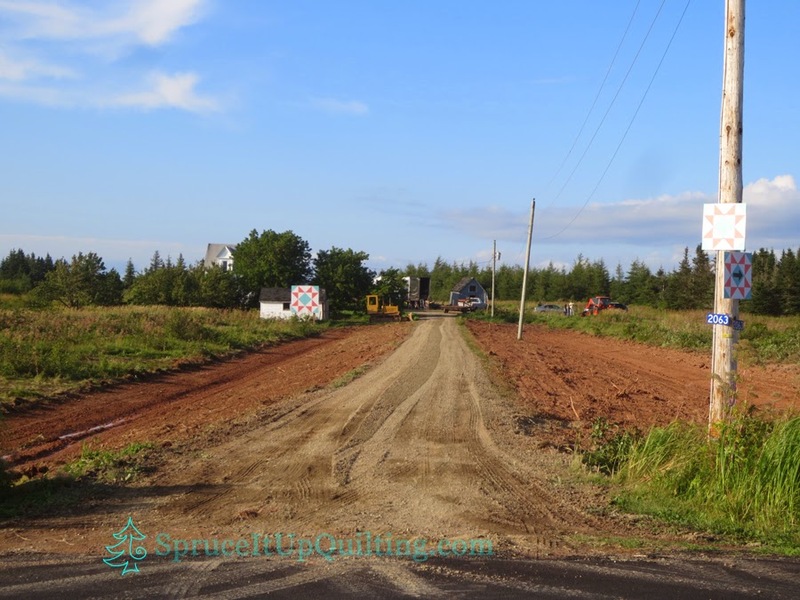 Our road man has worked his magic machine over the land, flattening the sides of the driveway after clearing all the brush and alders, making it safer to mow the lawn, and care for the edges of the drive. What lawn do you ask? DH sowed some grass seed yesterday... we need rain... the land is really dry. This morning's sunrise looked promising... 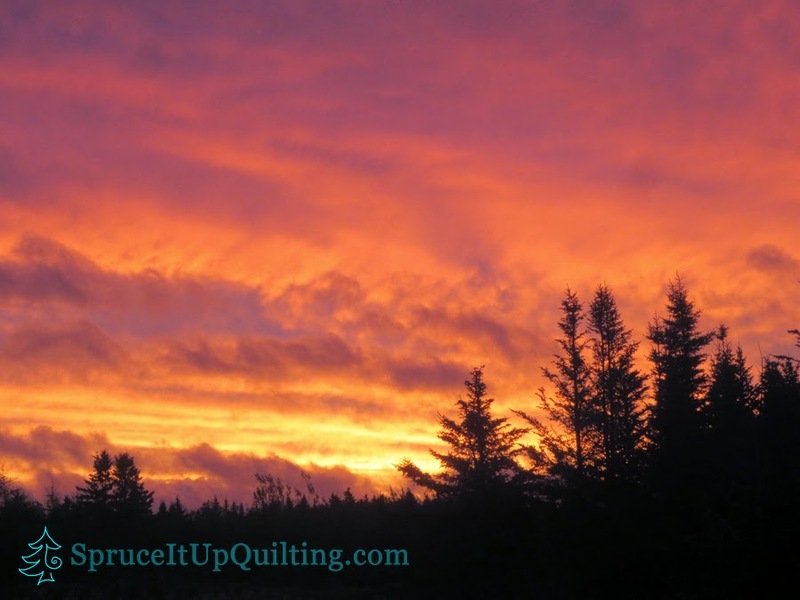 I ran out to capture this gorgeous sky... it was breezy and warm and by 8:30am, my clothesline was full and the sun came out... no rain yet! If you're in the area next week, come say hi to Oliver... he's our grandson who turned 6 yrs old last Friday! He'll be here visiting from Toronto... I bet he can keep you entertained too! Don't forget we'll be closed Saturday August 23rd!